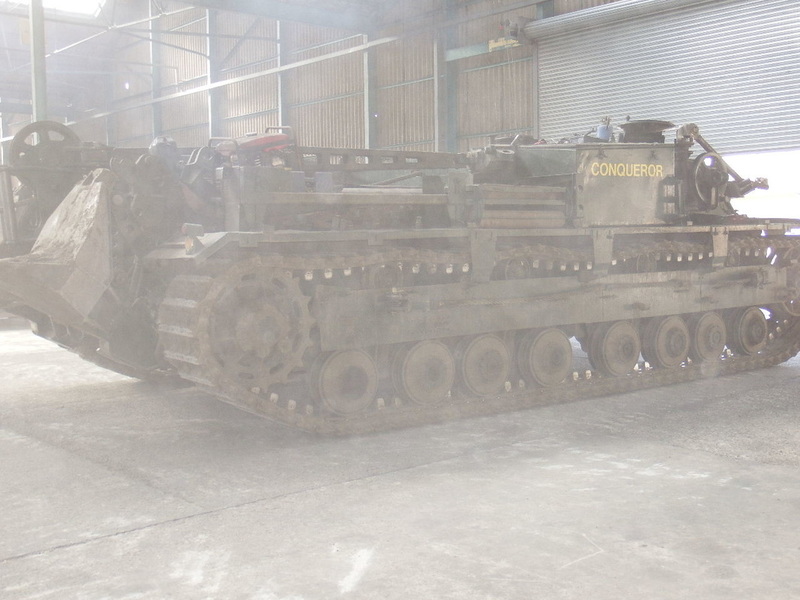 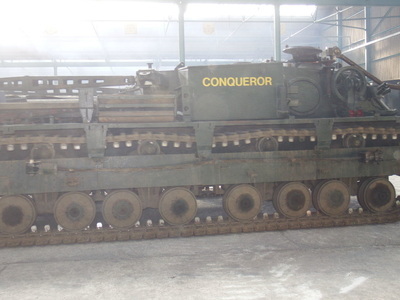 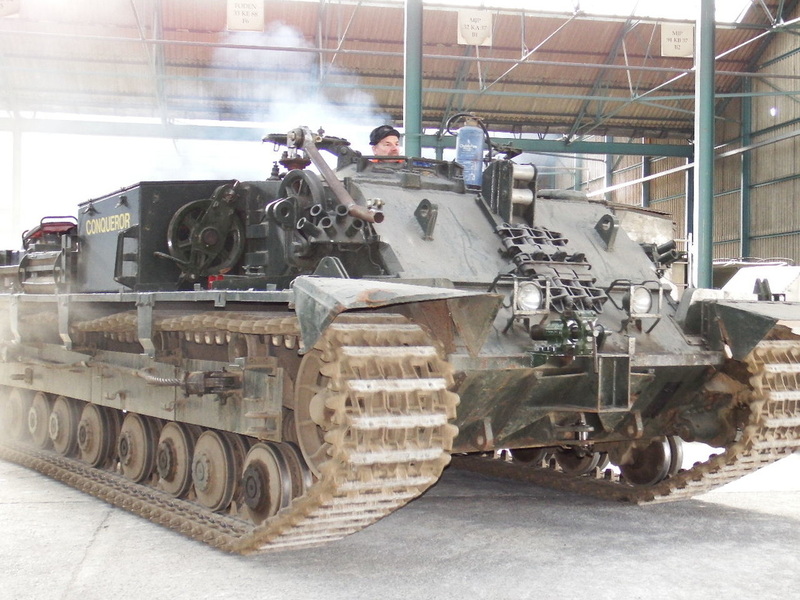 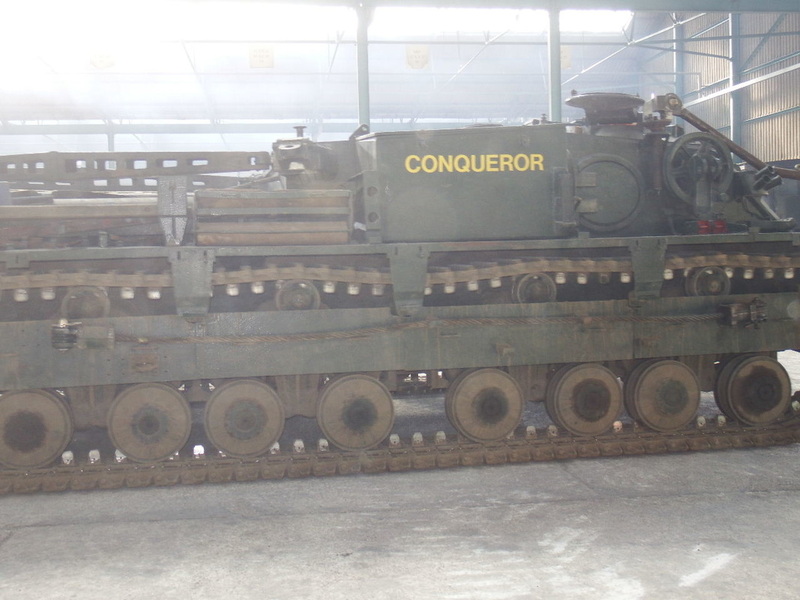 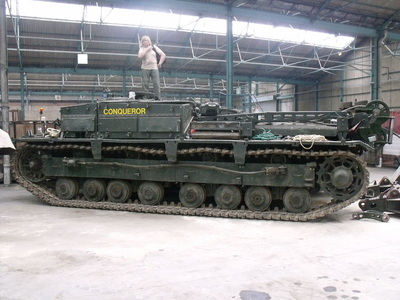 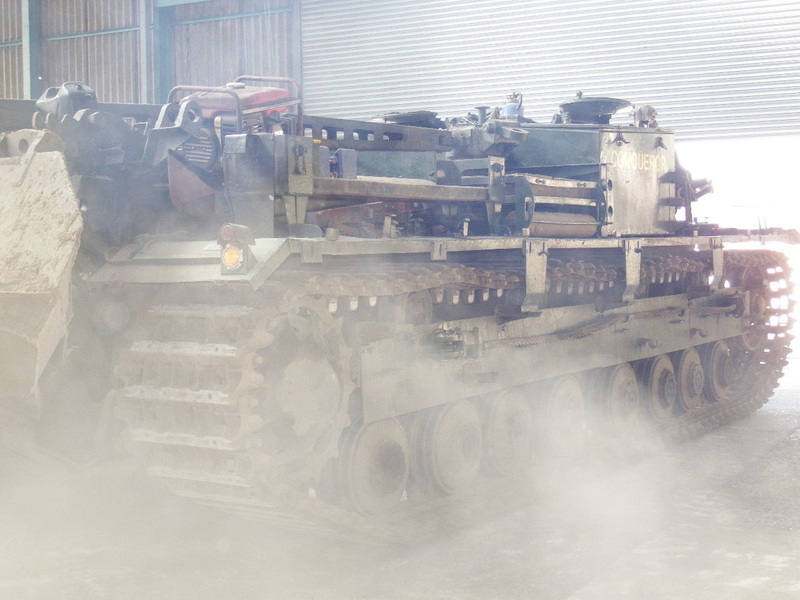 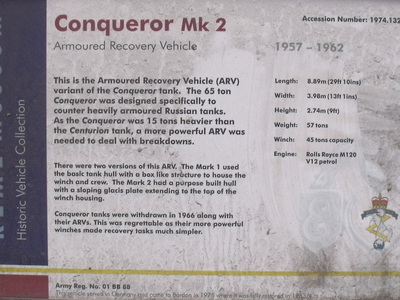 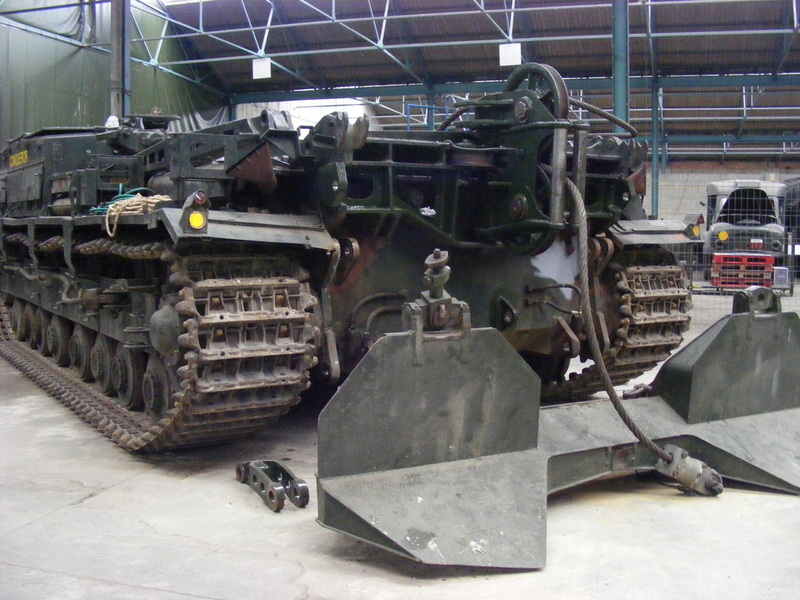 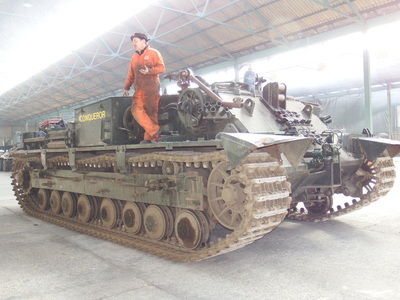 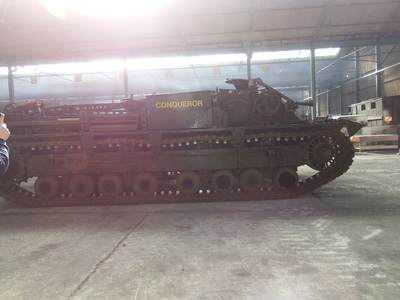 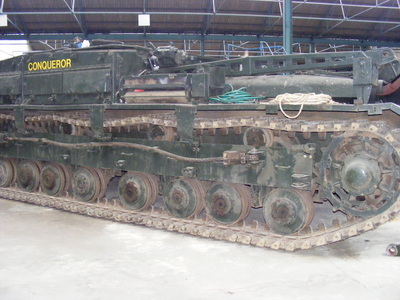 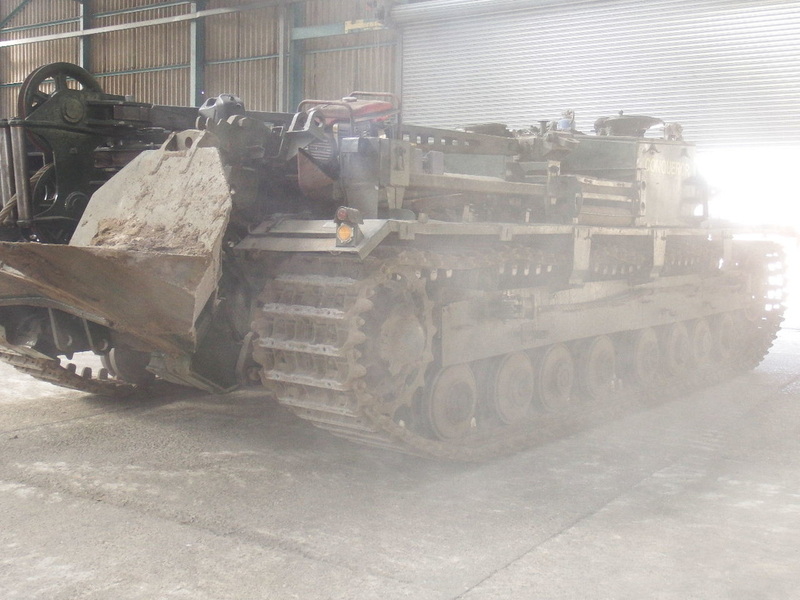 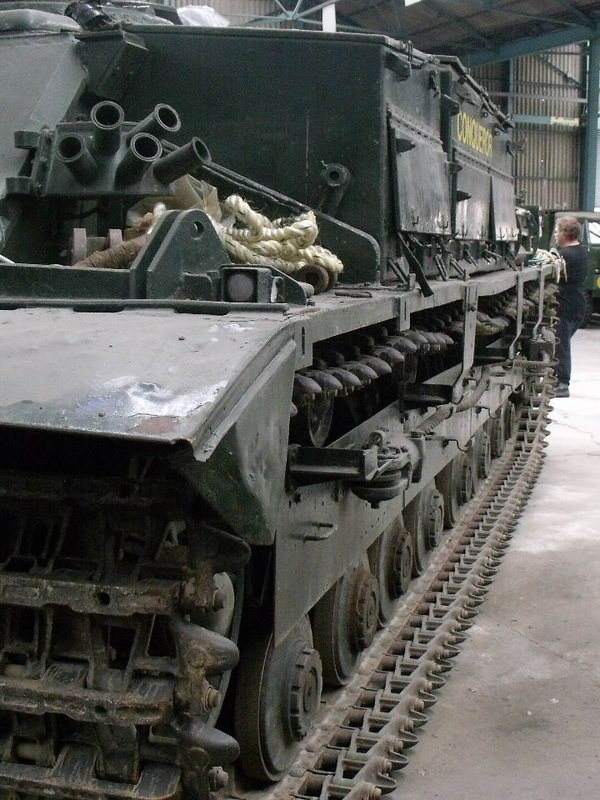 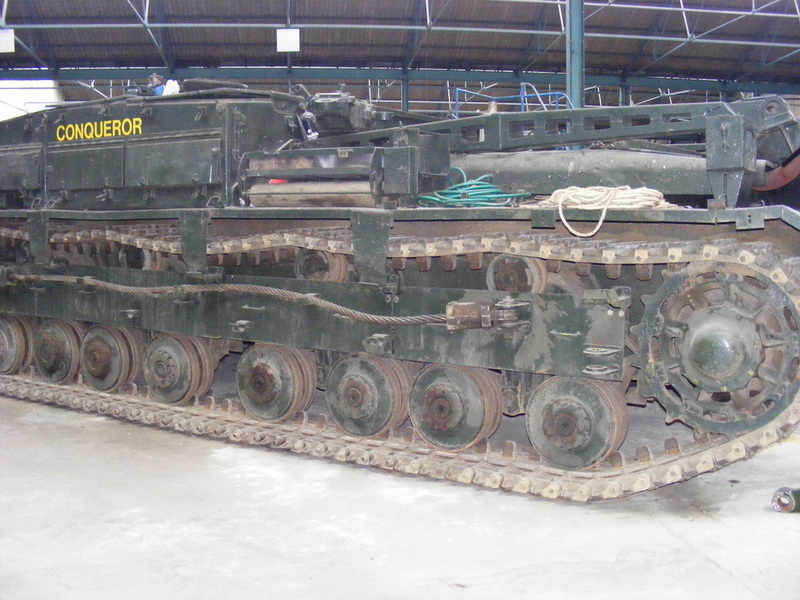 There are only a few pictures here showing the current status of the Conqueror Mk2 but it IS in full running order as was demonstrated when the resident mechanic fired up the massive engine - and it was loud, very, VERY LOUD! He had created a modular fuel injection system add-on which enabled the engine to fire up '1st time' but which can be easily removed should the original arrangement need to be restored (can't think why they'd want too!). 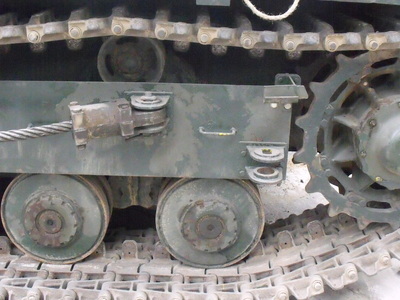 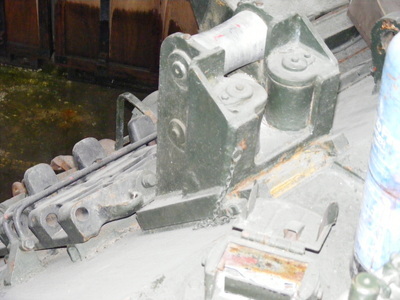 Weathering modellers should also note WHERE the areas of rust are found as this is an ongoing restoration - the rear winch area was newly painted and shows the contrast very well. When we go back to visit, I shall carry out a more thorough photo coverage of this impressive giant. 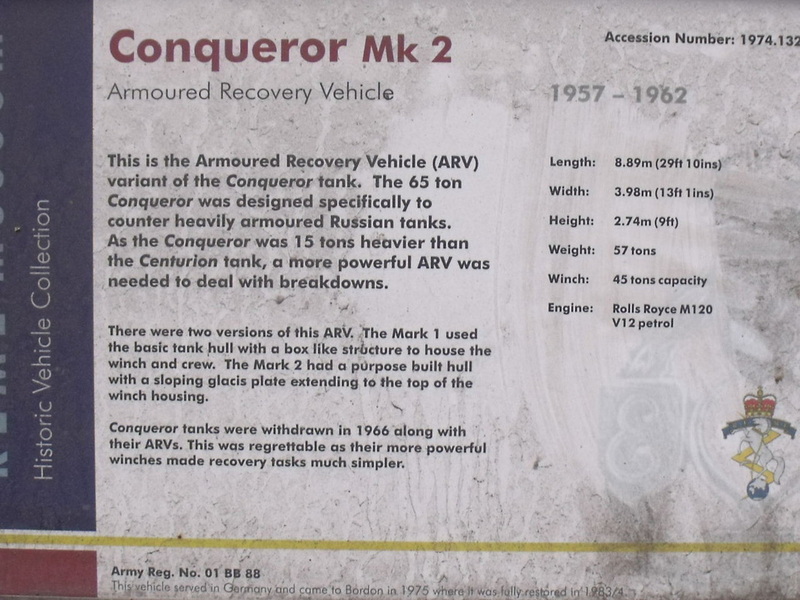 A recent return visit by MAFVA Members had the Preservation Team starting up and running the Conqueror ARV which ended its service as a Gate Guard. 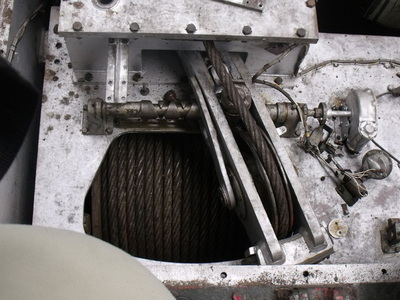 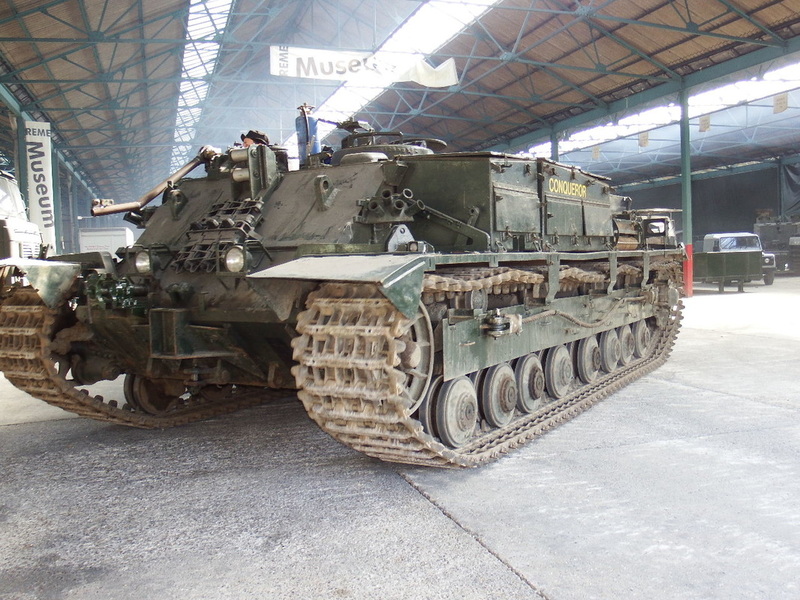 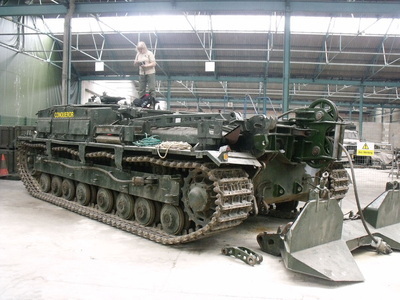 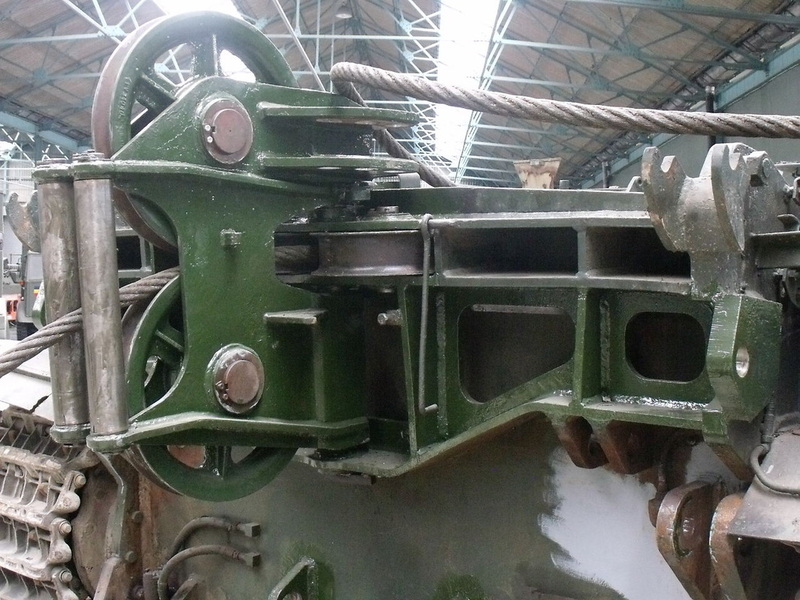 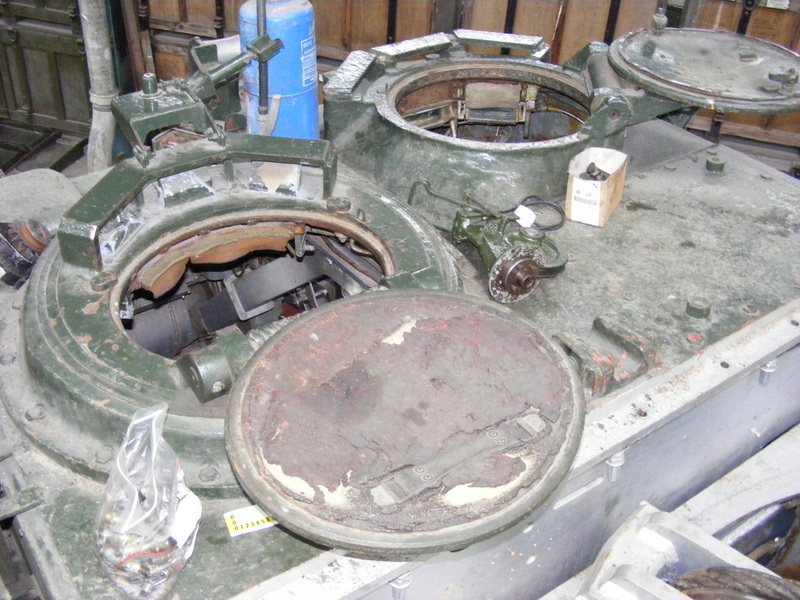 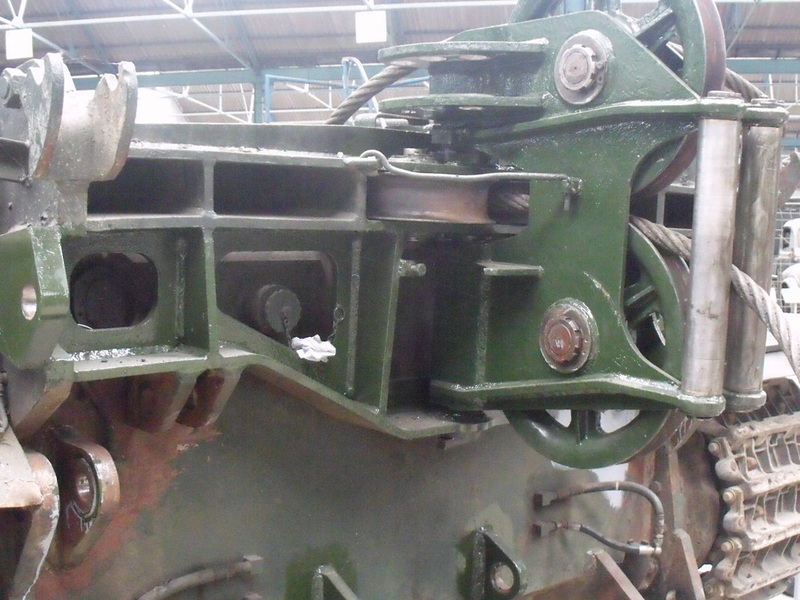 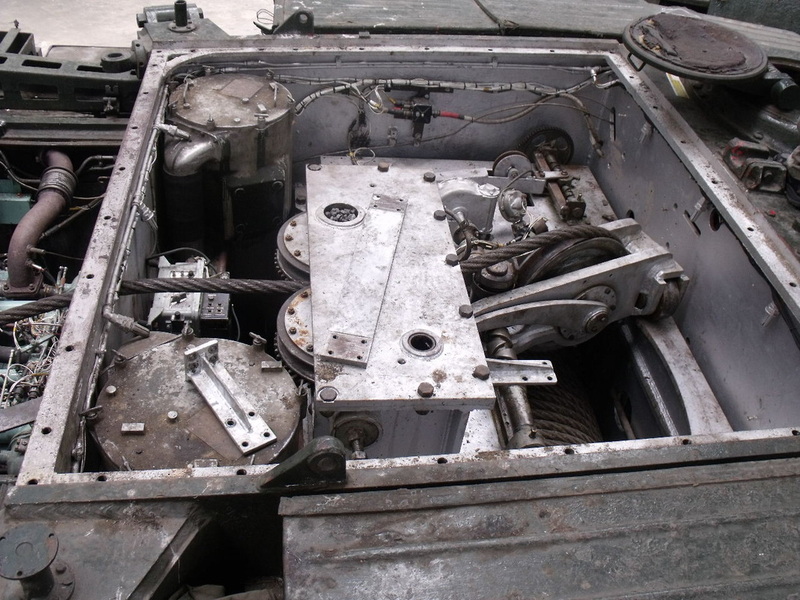 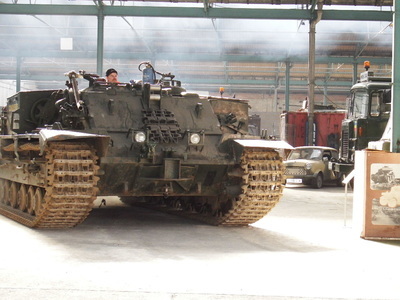 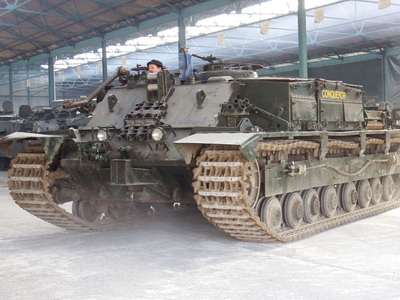 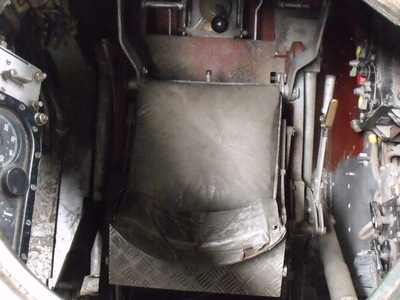 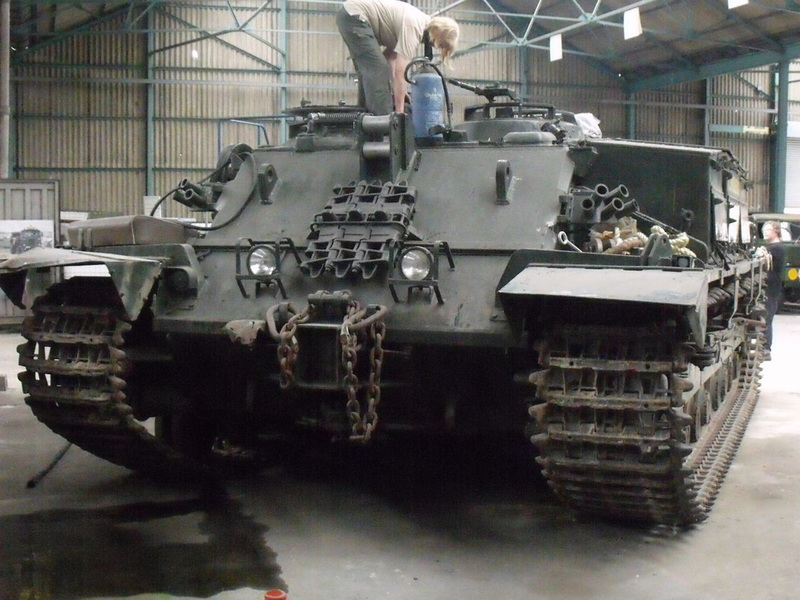 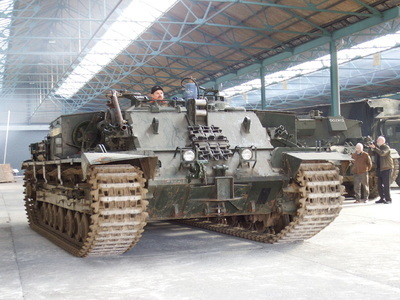 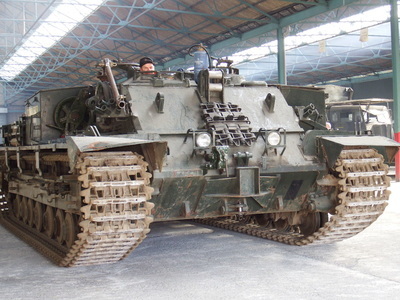 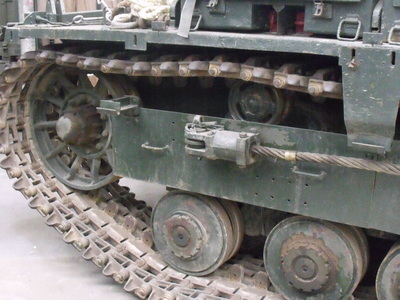 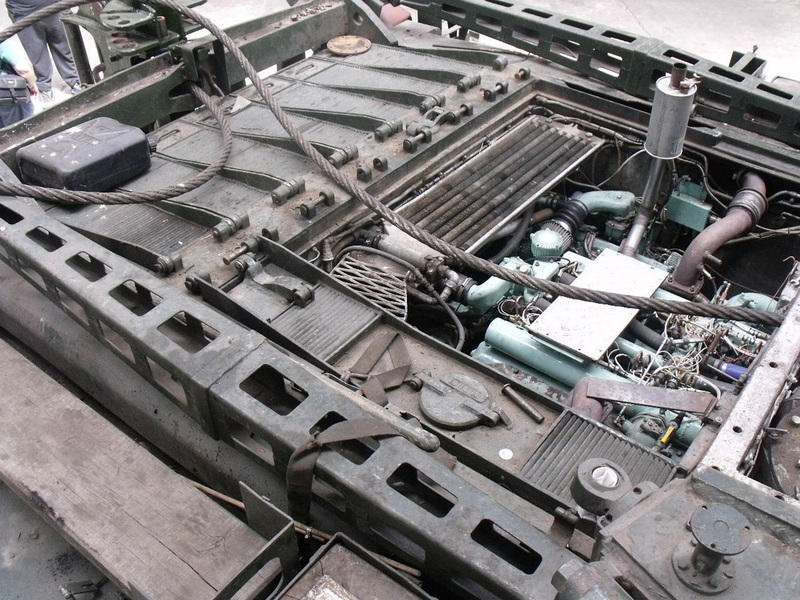 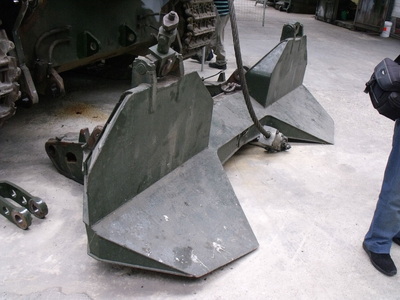 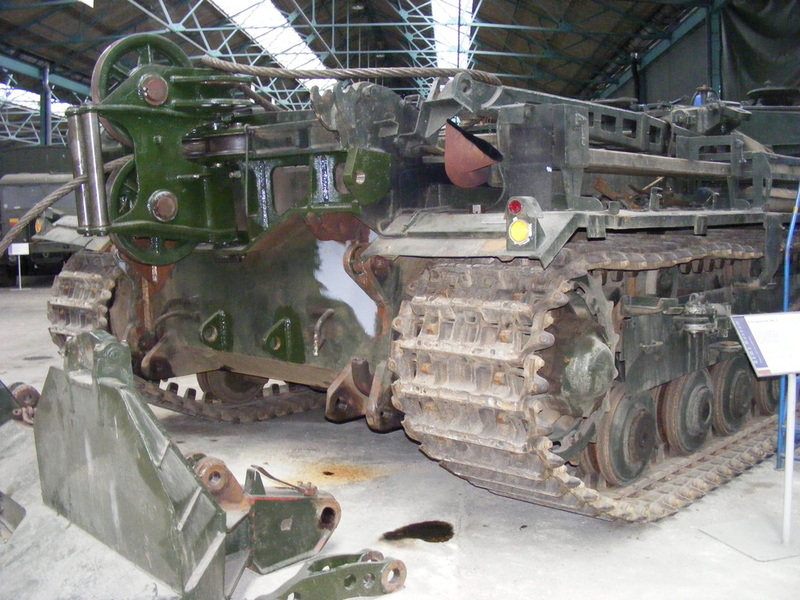 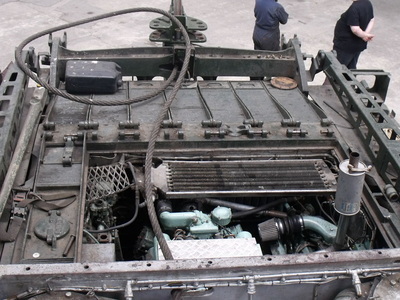 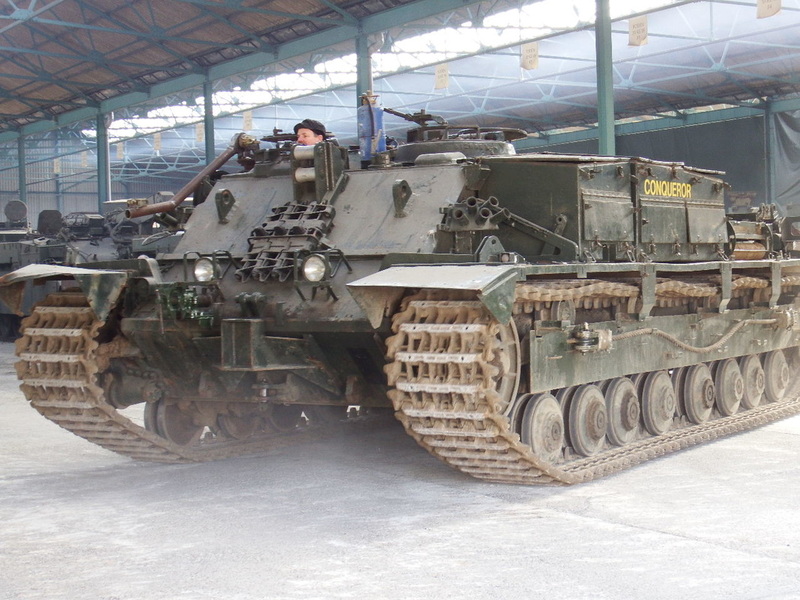 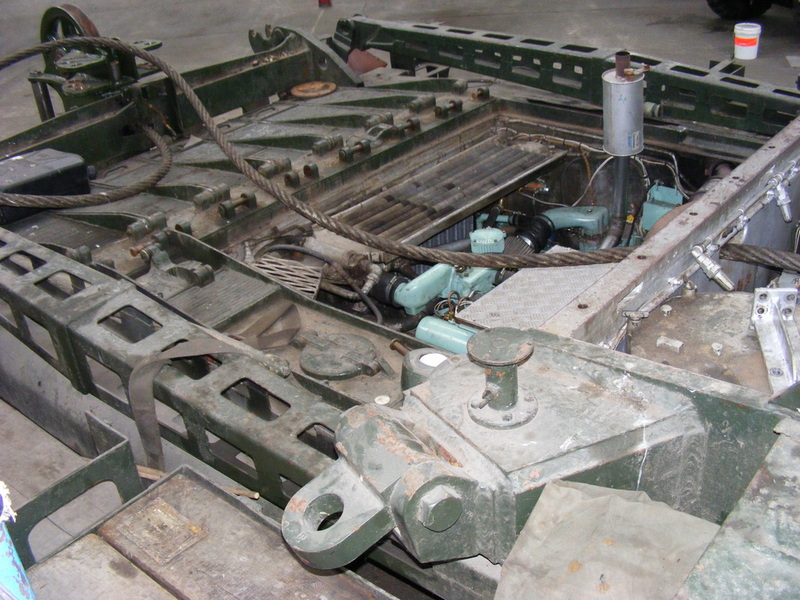 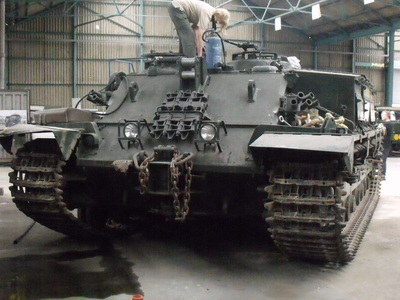 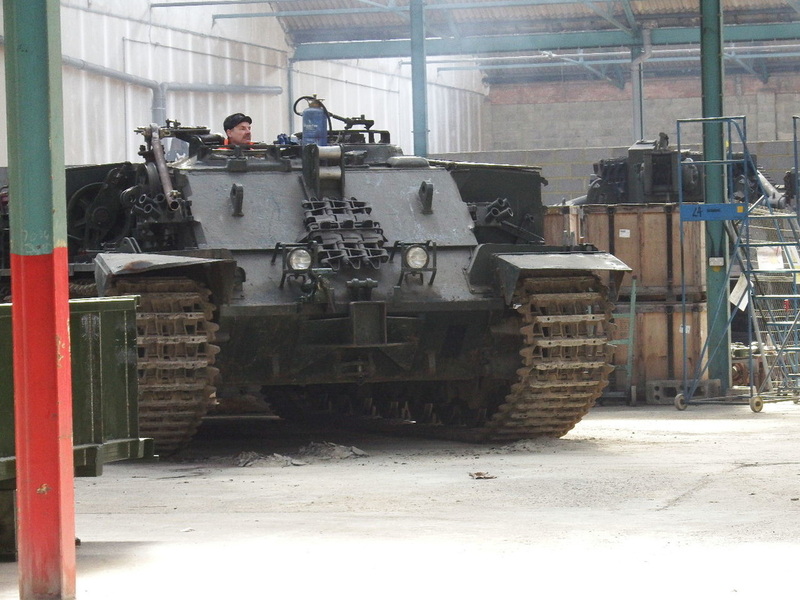 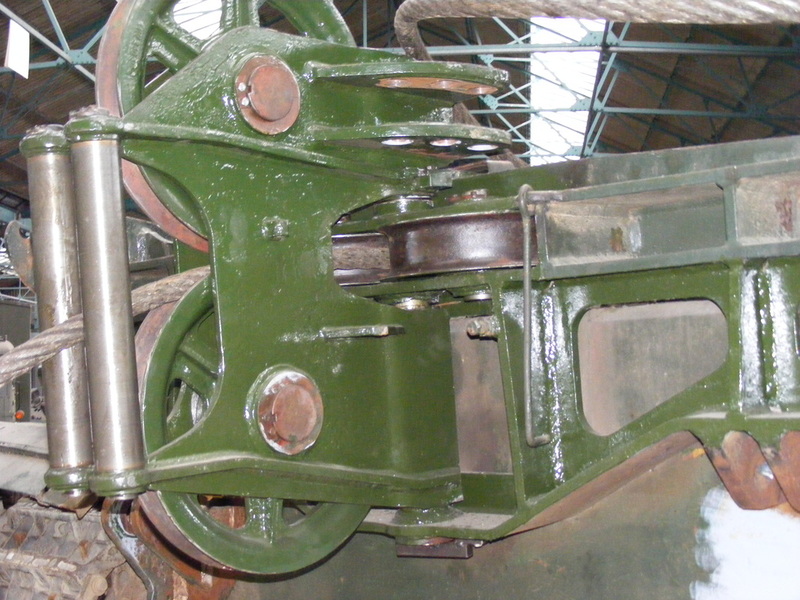 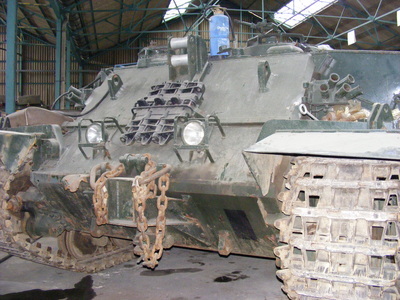 In restoring the vehicle they had to replace the winch engine which comes from a Jaguar Car.